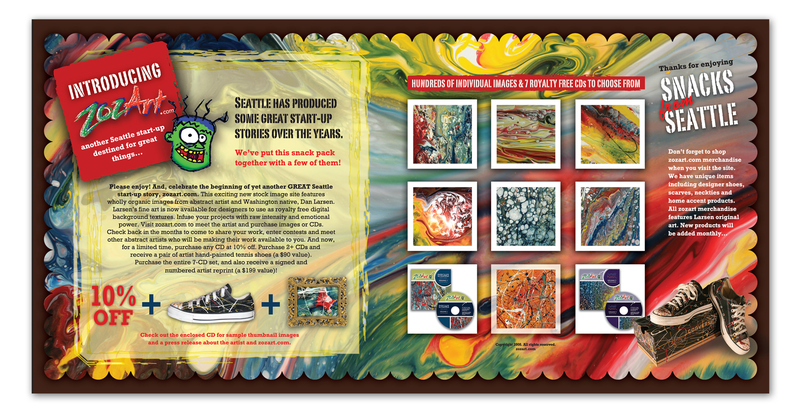 Marketing a fine artist to galleries and end users. Dan Larsen is a fine abstract artist in Bellevue, WA. 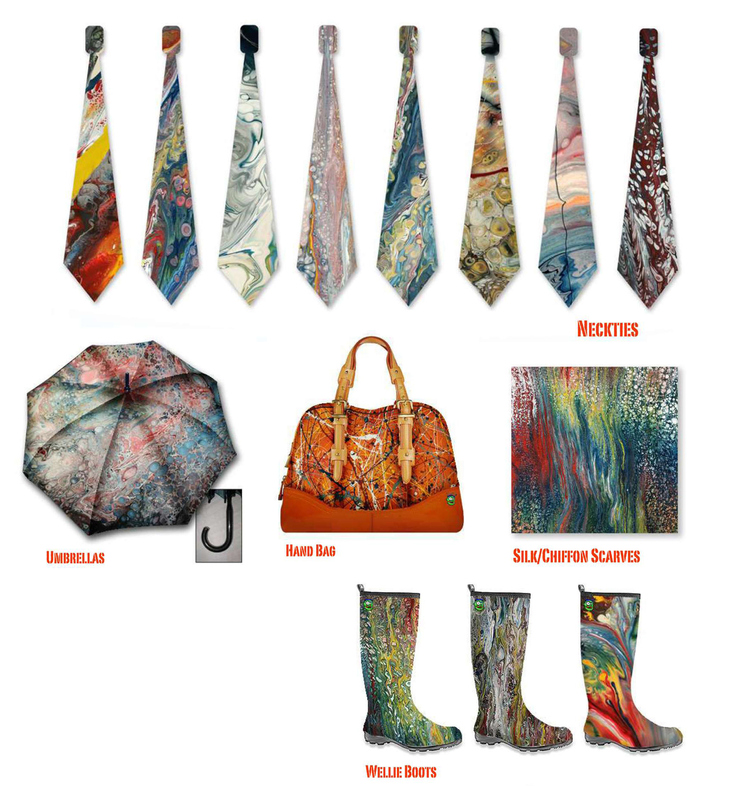 His contemporary work is rapidly gaining in popularity for it's bright, fun, colorful and playful style. The artwork is painted on metal, and has some dimensionality...with works raised away from the wall anywhere between 2 to 3.5 inches. 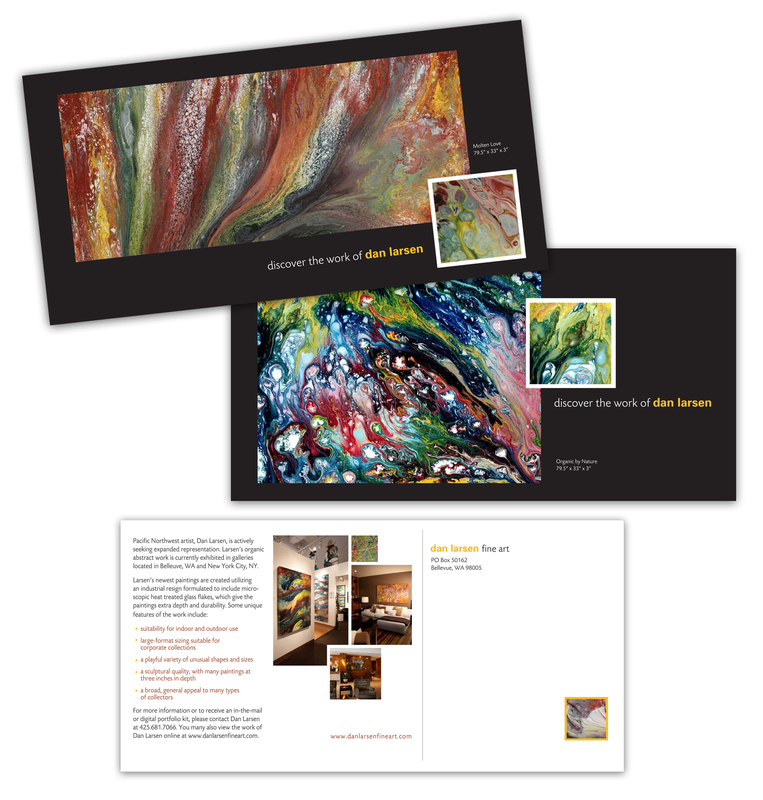 Dan Larsen wanted to promote his work to galleries with a series of direct mail postcards and a gallery booklet. 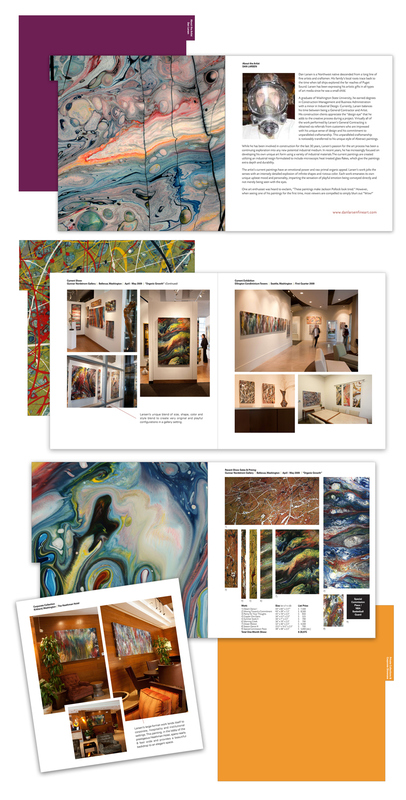 The booklet, which is 38 pages in length, profiles the artist and showcases his available work, sizes and pricing. Also included are client testimonials and photographed examples of his paintings on display in galleries, residential homes, commercial spaces and special installations. 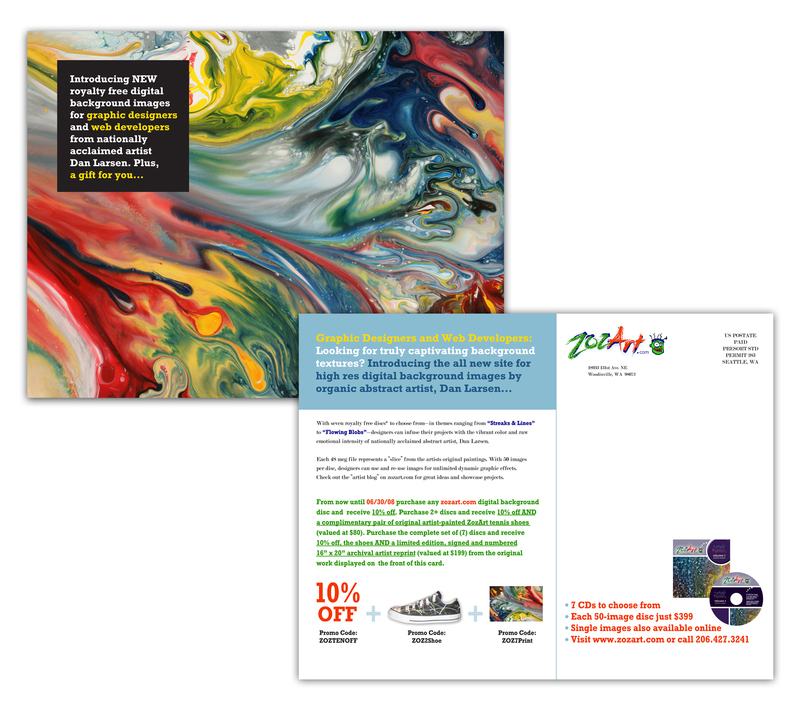 The booklet is mailed to qualified leads from the direct mail campaign. In addition, Larsen sells royalty free digital images of his work. 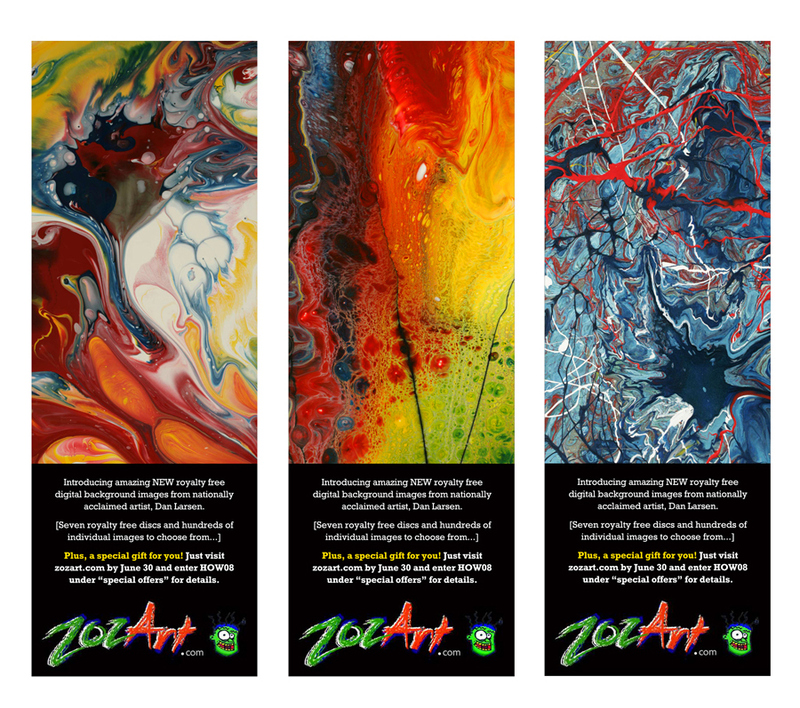 He markets these online under a separate brand name; zozart.com. 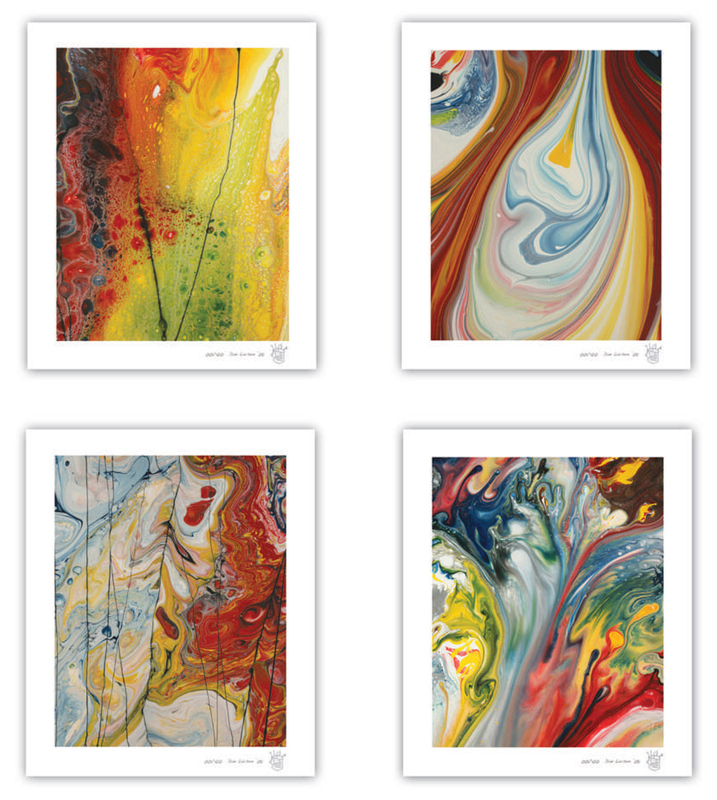 The high res images can be downloaded and used in all types of print and electronic medium. 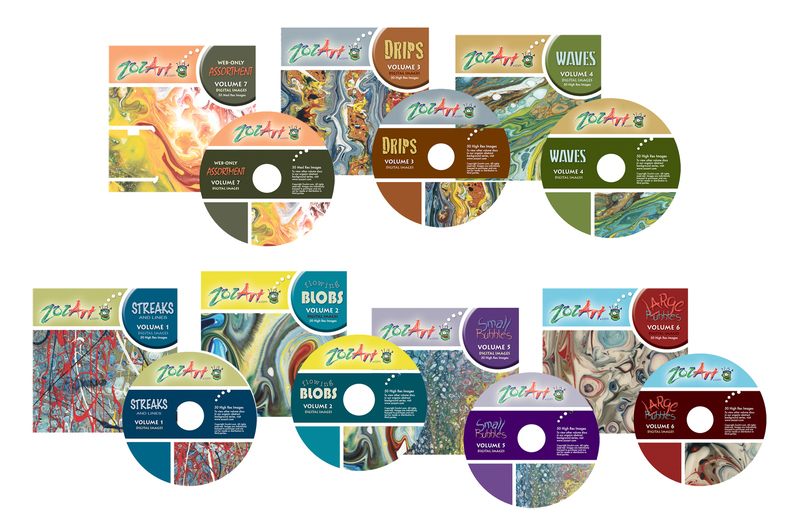 He marketed royalty free images with a series of print ads, eblasts, direct mail postcards and a special lunch box that went to graphic designers and art directors, with a placemat and a lunch included. 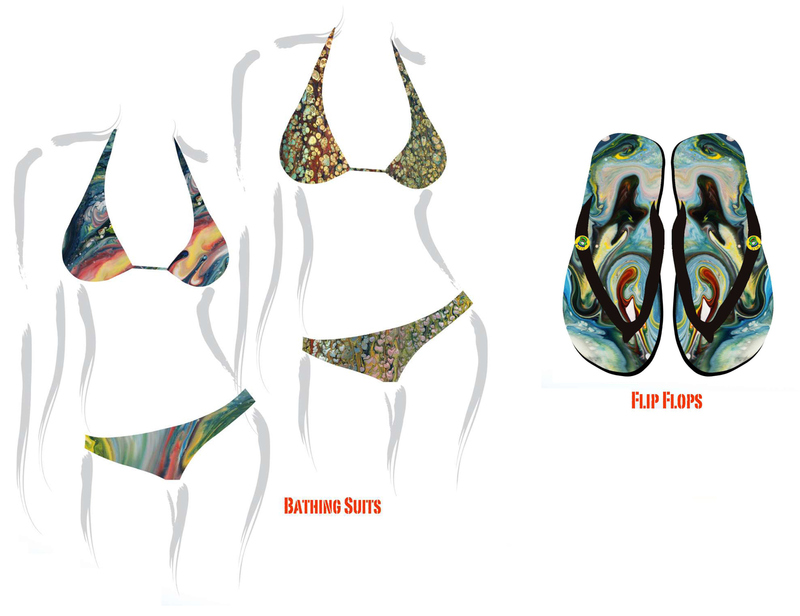 As an offshoot of the digital images, Dan has proposed licensing his artwork for a number of retail projects, and worked with me to mock up renderings of several retail applications. 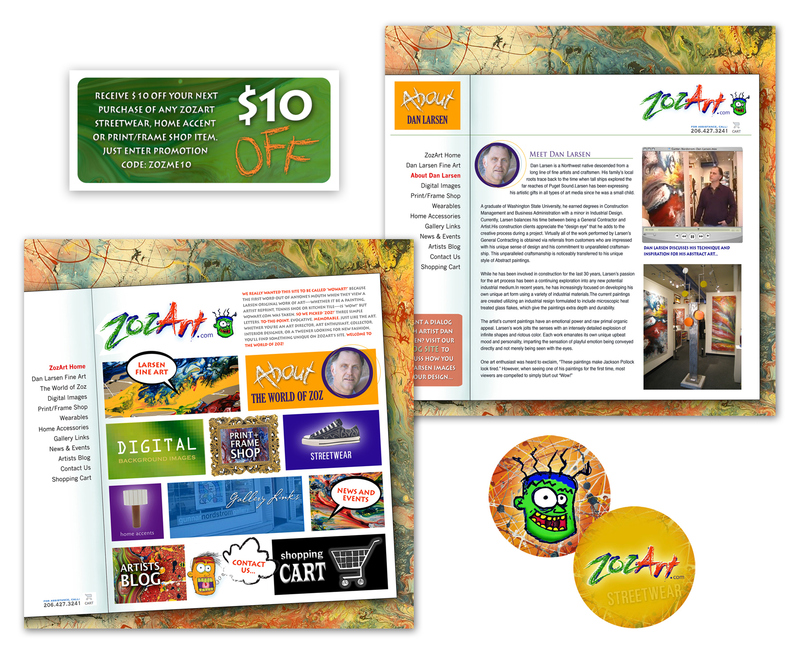 DIRECT MAIL POSTCARD TO PROMOTE DIGITAL IMAGE SITE. PRINT ADS TO PROMOTE DIGITAL IMAGE SITE. SELECTING, CROPPING AND COLOR ENHANCING FINE ART PRINTS.